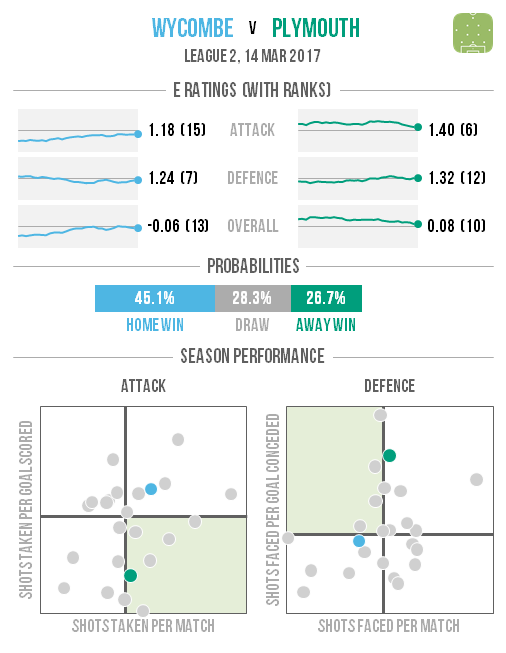 There are likely to be plenty of home wins in this round of games, with the hosts’ chance of victory higher than 50% in fully half of the fixtures. 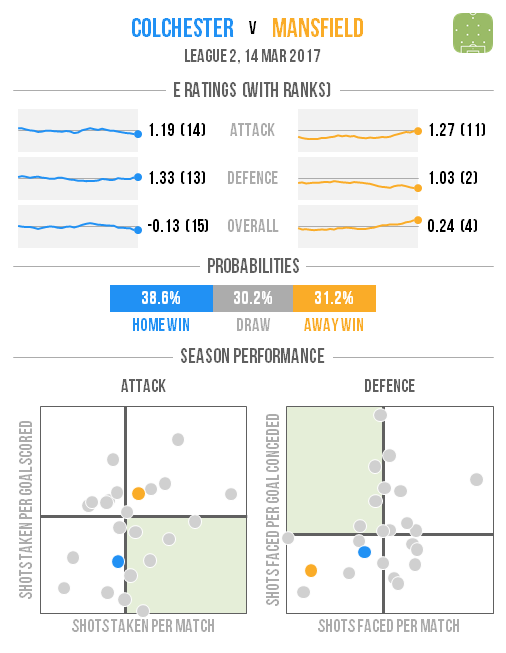 Cambridge lead the way with their rating having risen significantly this season and visitors Hartlepool among the division’s worst-rated teams. 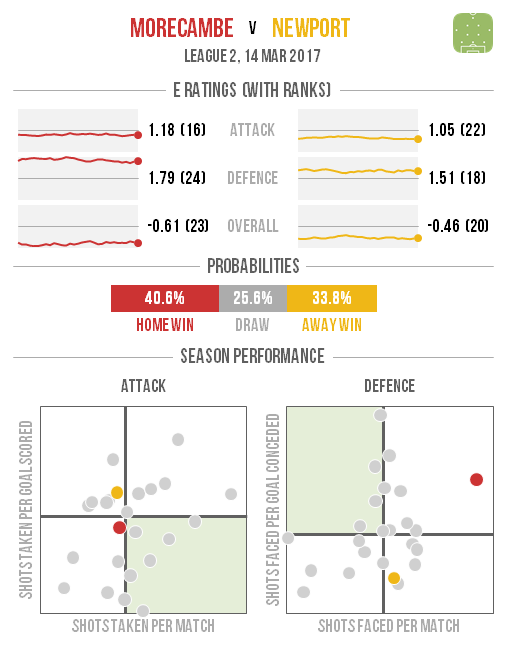 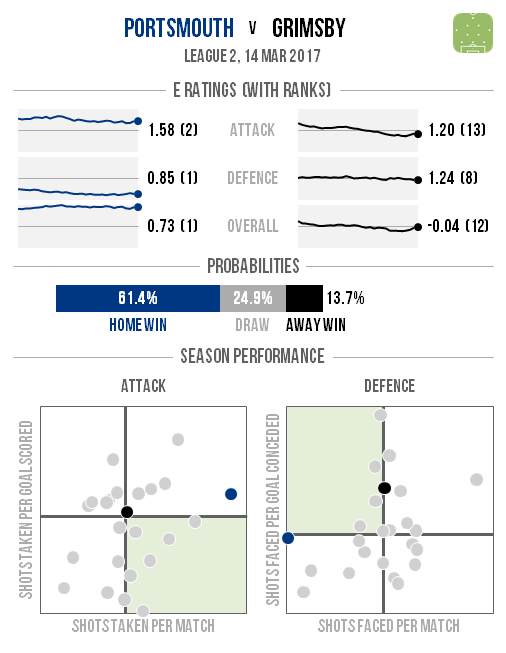 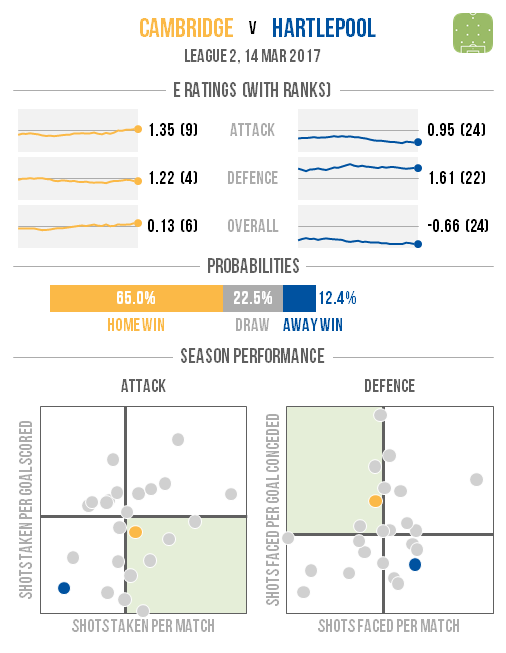 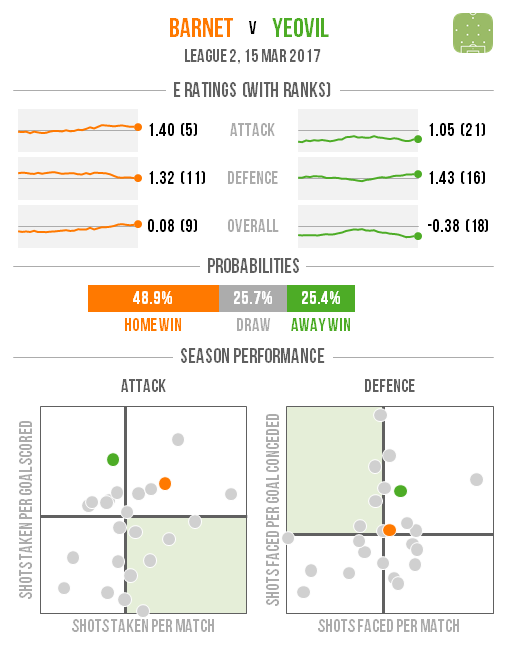 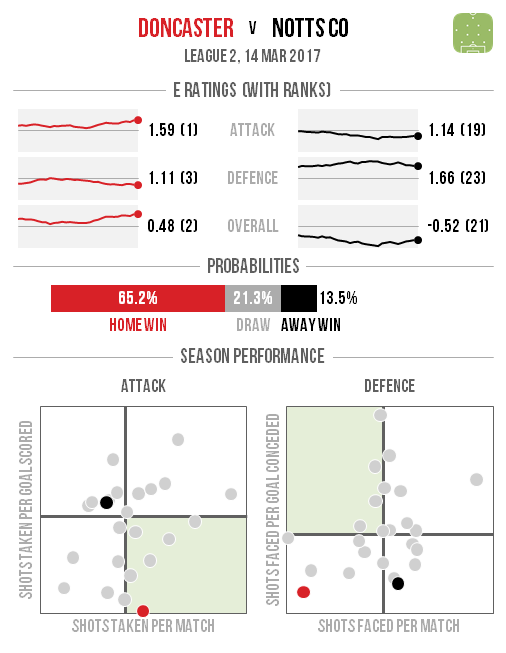 The best chance of an away win is at stuttering Carlisle, who host promotion-chasing Luton. If Blackpool win then they’d boost their chances of a top seven finish significantly and slash Stevenage’s to roughly the same level (their superior rating cancels out the points advantage that Boro would still possess). 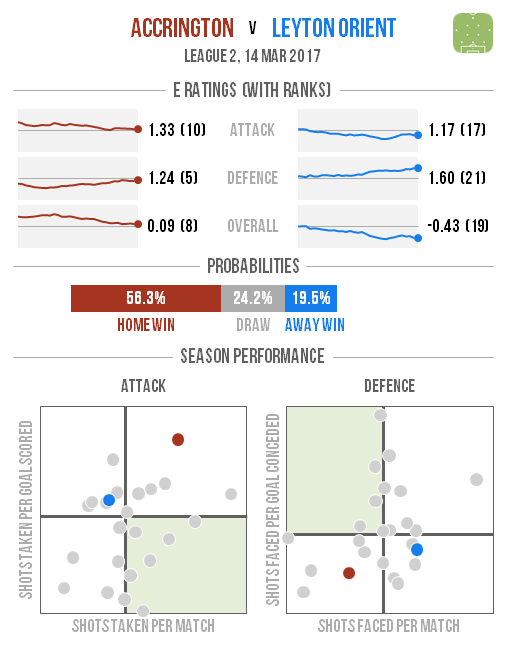 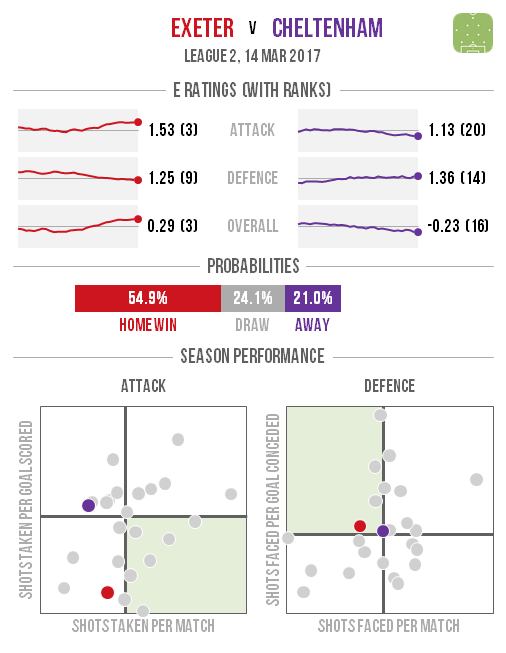 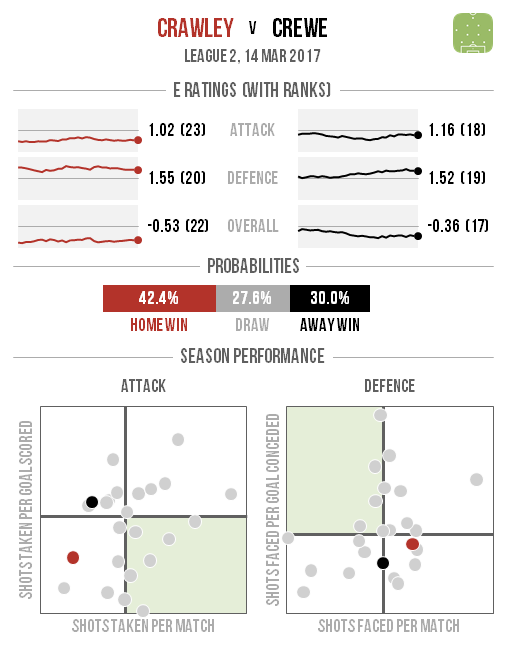 However an away win would push the visitors’ chances of defending their recently-won play-off place above two in three while leaving their hosts looking unlikely to trouble the top seven any further.